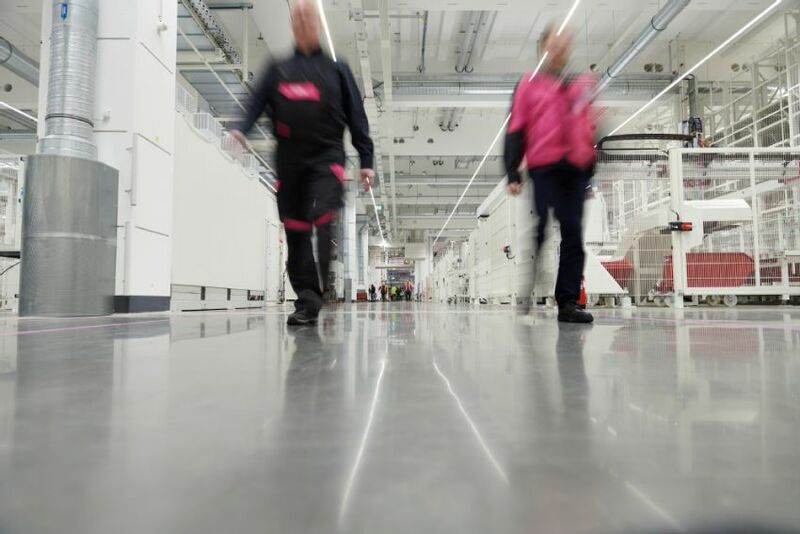 Rittal establishes a smart factory | Rittal - The System. 2019-03-19. The new Rittal plant in Haiger embraces the principles of Industry 4.0. The company has made its largest single investment, totalling 250 million euros, to establish the world’s most advanced facility for its new compact and small enclosures. The highly automated manufacturing processes, in conjunction with the neighbouring distribution centre, enable seamless order fulfilment, guaranteeing rapid availability of standard products and accessories. The equipment in Haiger will be highly automated, producing individual work pieces and assemblies with exceptional efficiency. In the past, individual steps such as cutting to size, edging, welding and painting were transactional, sequential and independent of one another. In the new era, all workers, machines and materials will be increasingly integrated into the manufacturing execution system. At the end of the process, the individual assemblies are automatically merged and a QR code is applied. This enables identification as well as the further processing by the customer. The new era of industrial manufacturing will also usher in major changes for human workers. There will be fewer strenuous manual tasks, such as lifting and carrying. Instead, the focus will shift to controlling, monitoring and fine-tuning processes. “The expertise and capabilities of experienced employees are one of the keys to the success of smart factories: systems can only learn and gain intelligence if they are taught systematically by humans,” explains Professor Loh. Rittal proactively builds digital skills in the workforce through training courses held at its Loh Academy. The new technologies will bring improvements to the working environment as a whole. The Haiger facility will be quiet, clean and energy-efficient. For example, waste heat from the new paint shop will be recovered and reused, e.g. for degreasing components or for heating the factory halls. Efficient use of water is also a high priority. Process water is managed within a closed-loop system, where it is cleaned and reused. Rittal will be manufacturing the new AX compact and KX small enclosures at the new plant. Digital transformation has created new challenges in terms of the products themselves, the operating environment, and its availability. Rittal has therefore rethought and redesigned this offering in line with the imperatives of Industry 4.0. Rittal provides effective support for the entire value chain for the production of panels and switchgear, from engineering to ordering to automation. Its digital product twin delivers high-quality data for the entire design, configuration and manufacturing process. Following the successful launch of Blue e+ cooling units and VX25 large enclosures, the AX and KX products are now an integral part of this approach. 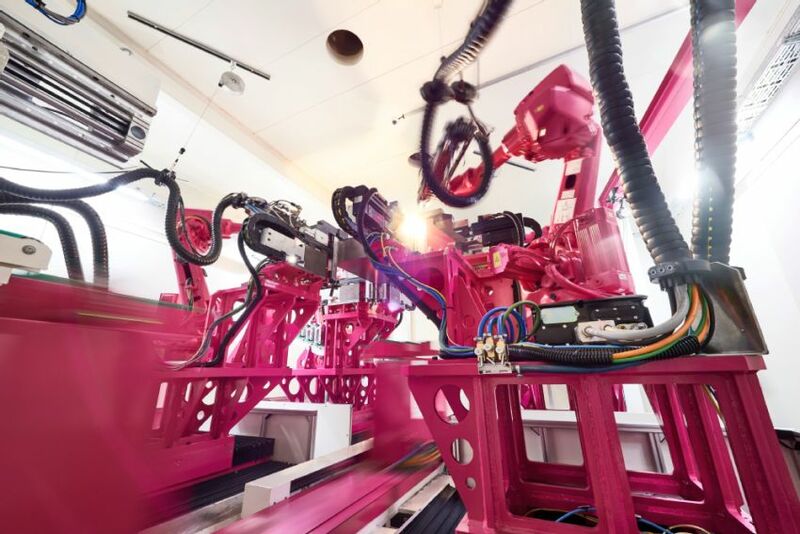 The Haiger facility is a pilot for the real-world implementation of Industry 4.0 and will act as a role model for Rittal’s international operations. It will also be a pioneer and reference for Rittal’s own products and services in terms of the Industrial Internet of Things (IIoT). Blue e+ cooling units enhance the increase of energy efficiency and are integrated into the monitoring and energy management systems via the IIoT interface. The entire machine park permanently provides data from the control system and the current operating states. Production systems in the new factory are an ongoing source of actionable data on their operational status. In future, this information will be collected in an on-site edge data centre and analysed using powerful applications developed by sister company Innovo.